Established in 2004; Newling Homes has worked hard to get a good name and it’s something that we intend to keep building on. The homes we have built over the years have given us a solid reputation, as we believe that homes are only as good as the effort that goes into building it…and we give each project our all. Established in 1990, Libby Gumley of Design Inside manages her design business with both commitment and enthusiasm while involving her clients with skill, flair and creativity. Not only does Libby offer her clients a wealth of knowledge of the building trade but also a background of soft furnishings, she feels comfortable that her practice offers experience in all aspects of this industry. She offers design solutions to suit her clients’ individual budget using her design expertise to create unique environments that reflect her clients’ individual taste, personality and lifestyle. She is proud of how she manages her business, making sure that each relationship is nurtured, any difficulty is overcome with respect, and that each client is offered exceptional personalised service. ducksnest. 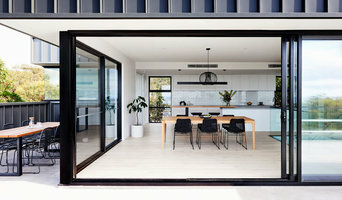 Interiors, a bespoke contemporary design service by interior designer Susan Pehar was established in 2009 servicing the Geelong and Surf coast. The core design philosophy incorporates style and sophistication with consideration made to form and function. The creative design process is undertaken with the clients’ ideals, design needs and budget considered, producing a detailed, refined and innovative outcome, in turn providing the client with a unique, customised holistic look. Whether you are building or renovating, the process requires attention to detail and a smooth transition from stage to stage of the project, a process I am most passionate about. Referral of trades are also part of the interior design journey if required. A complete design service is provided from concept to delivery incorporating colour consultations, furniture, lighting and decor concepts, window furnishings, floor covering selections and a re- upholstery service, all part of design solutions. Homeware and décor products are sourced for individual projects and a collection of designer European furniture pieces by Artisan infuse the design studio of which customers can view and order. We provide complete Bathroom, Kitchen, and Laundry renovations, servicing the Geelong and surrounding areas. We offer free consultations to help make your ideas come a reality. We only use quality trades that ensures a professional outcome. We take all the stress out of renovating, making it easy. 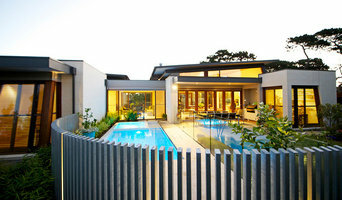 We are registered with the Victorian Building Authority as a registered builder and carry all the required insurances. BATHROOMS Leaking shower? Tired and outdated bathroom? We will work with you to get the best solution for your bathroom within your budget. Full bathroom renovations from Standard to designer looks, we can do it all!! Contact us for a full free in-home consultation. 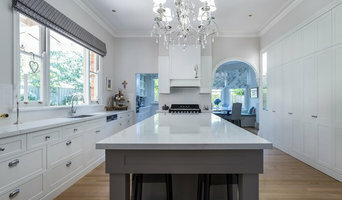 KITCHENS Fully custom designed kitchens. Using the highest quality materials and blum fittings. Weather you desire Stone, Timber or Laminate we can find the solution that suits you. Doors and Panels available in a wide range of colours, finishes, and textures. 3D CAD renderings available to help you visualise your dream kitchen. LAUNDRY Update your laundry and maximise your storage. Traditional laundry's through to concealed european styles, we have the solution that suits your every need. Reach out to multiple professionals — especially for larger projects — and don't settle for the first bid you hear. Comparing multiple Geelong, Victoria professionals' bids and experiences can help you find the one that’s best for you. Ask a lot of questions now, so you won't have unexpected answers later. Find a home design professional: Narrow down your search by type of professional and location. 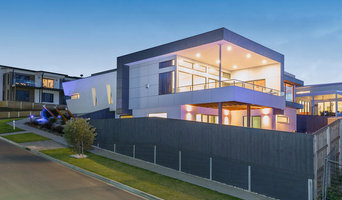 Browse Geelong, Victoria portfolio photos, read client reviews and contact each Geelong, Victoria professional for more information. Check out the information in the specialised professional sections too for tips on how to hire the right professional in Geelong for your project.